- Whitney took a much needed zero day on Saturday as she hiked a Presi Traverse and the Tripyramids over the past couple of days. 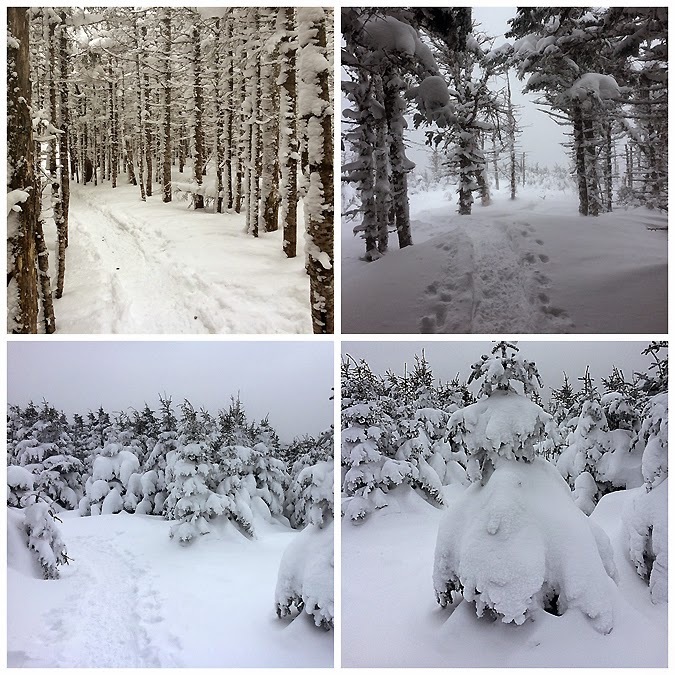 I decided to get up early and do a quick hike of Mount Field, Willey, and Tom up in Crawford Notch before the snow storm. 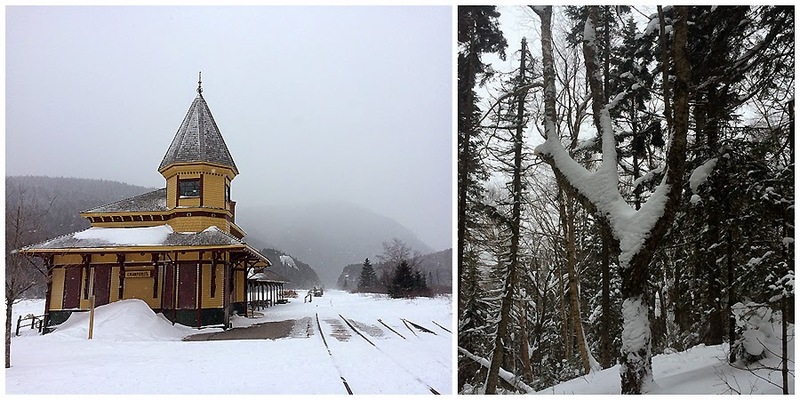 - The hike starts off on the Avalon Trail just over the railroad tracks at the Crawford Notch Scenic Railway. 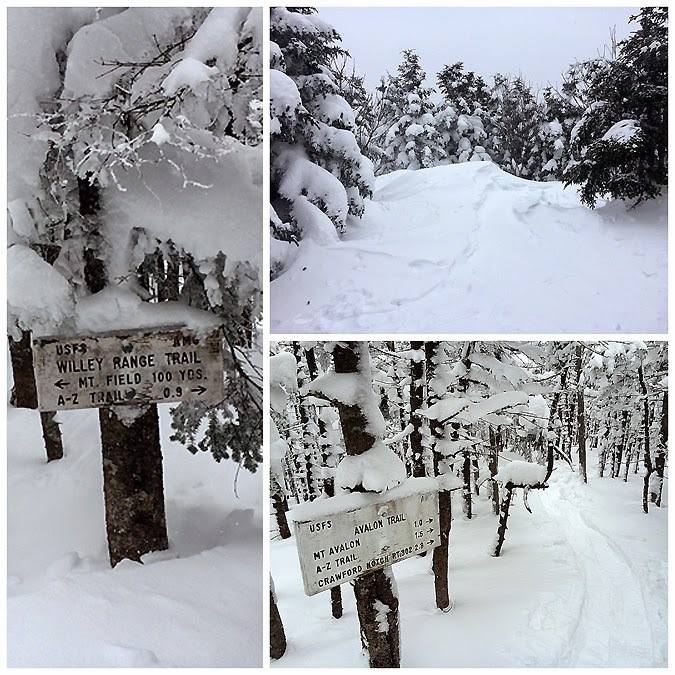 There is a ton of snow in Crawford Notch and the conditions were superb over the first mile as the Avalon trail made it's way over easy to moderate grades until the A-Z Trail junction. 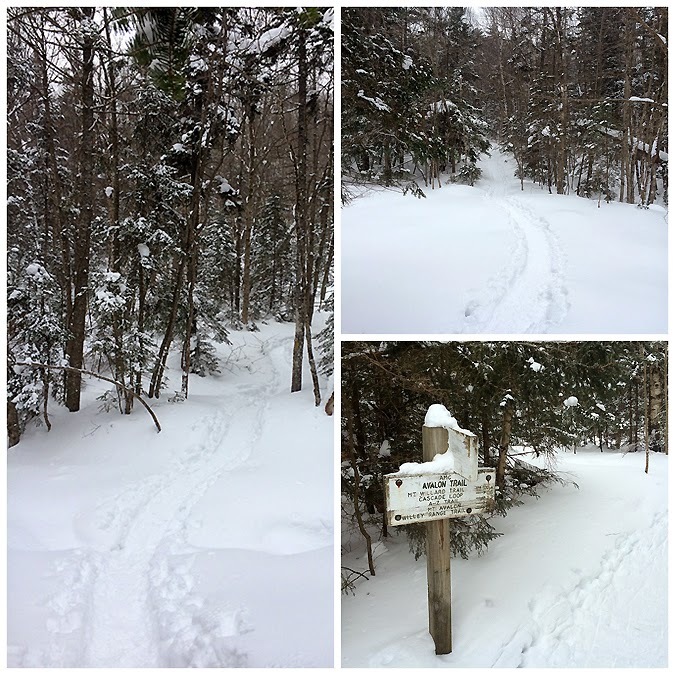 I decided to head up to Mount Field first so I stayed left and made the steep ascent up past Mount Avalon and up to the ridge just below the summit of Field. 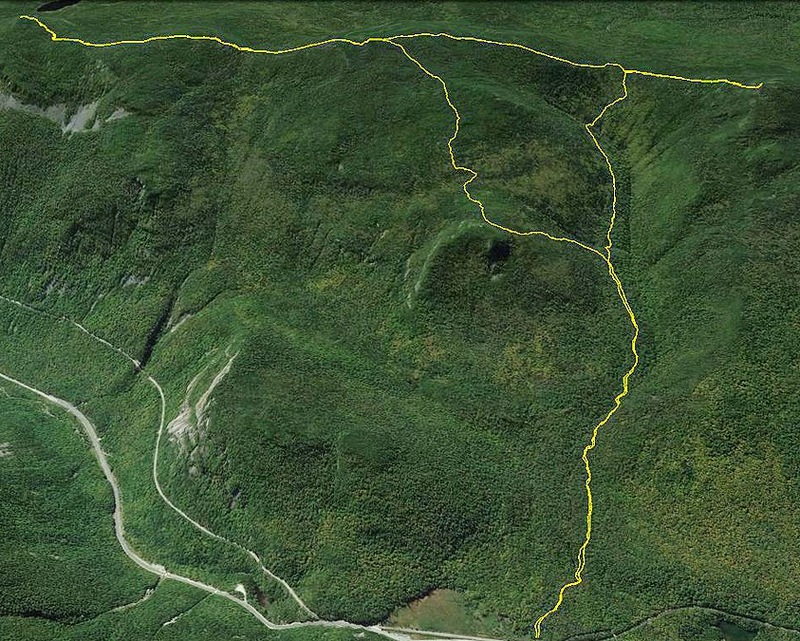 I took my time going up as to not burn myself out and to save my energy so later on I could bomb down Mount Field over to Mount Tom before the final descent back to Crawford Notch. 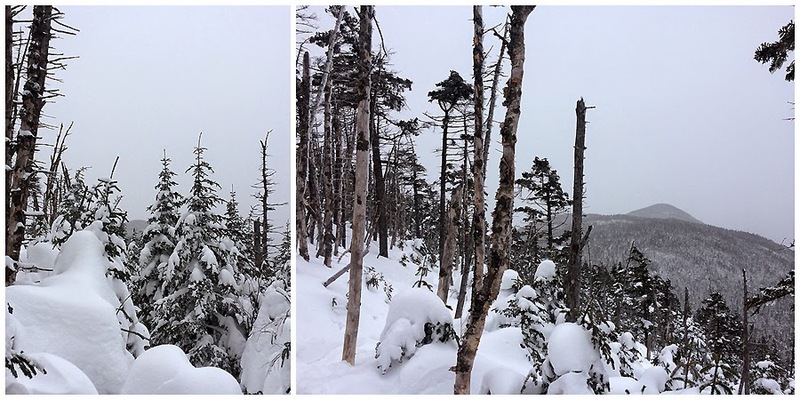 - Once I gained the ridge I hooked onto the Willey Range Trail and headed up to the wooded summit of Mount Field, since there were no views to be had I skipped the downlook and just headed over to Mount Willey. 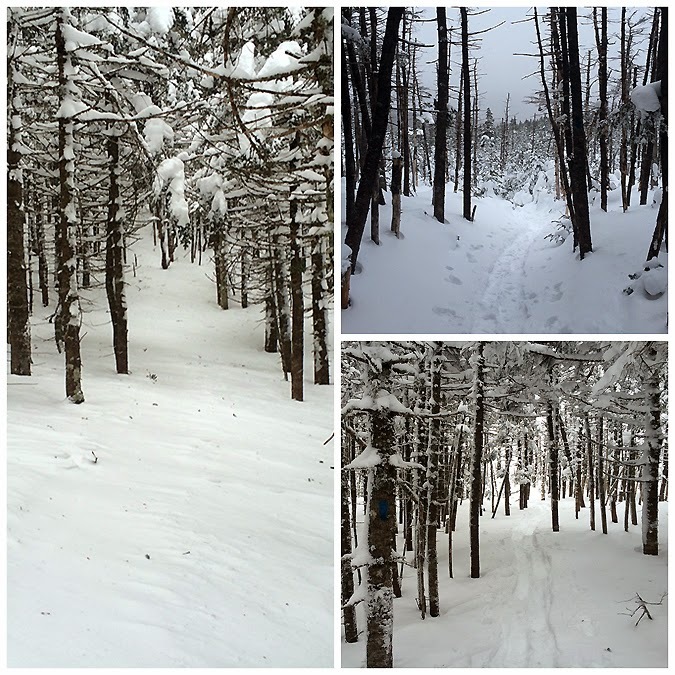 The hike between Field and Willey is just over a mile with a few bumps to go up over and down along the way. 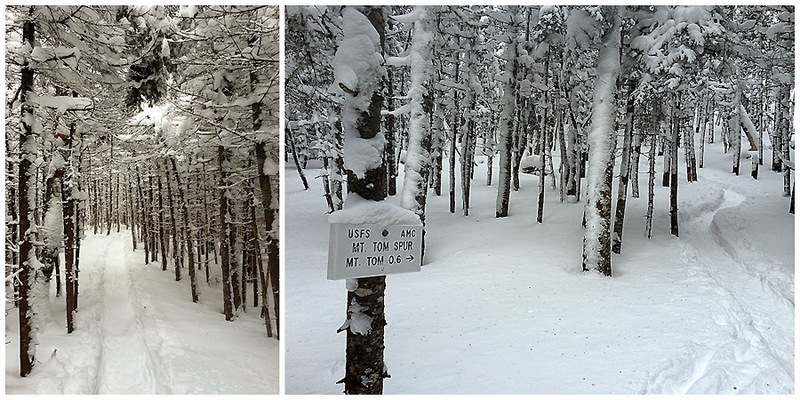 For some reason the Willey Range Trail has always thrown me a curve ball in the winter when it comes to route finding. 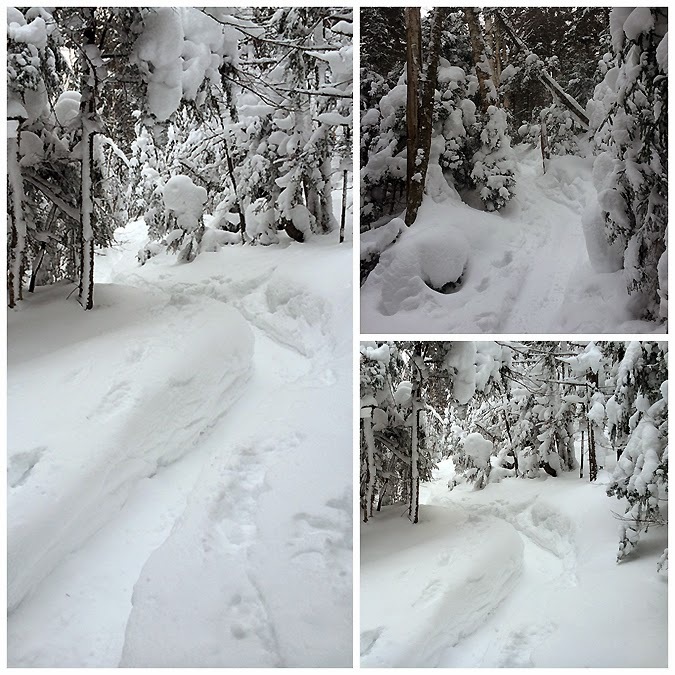 The trail has two spots, near the tops of the bumps, where it easily becomes snow drifted obscuring the trail. I always seem to head five feet the wrong way before realizing I'm off trail. 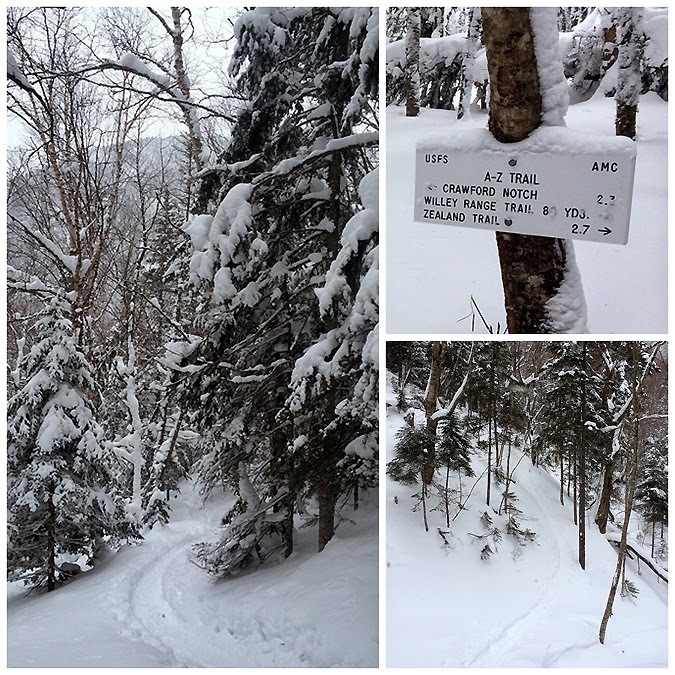 At one point the trail hooks around a tree and swings right for about fifty feet then makes and immediate left and heads to the top of the bump. 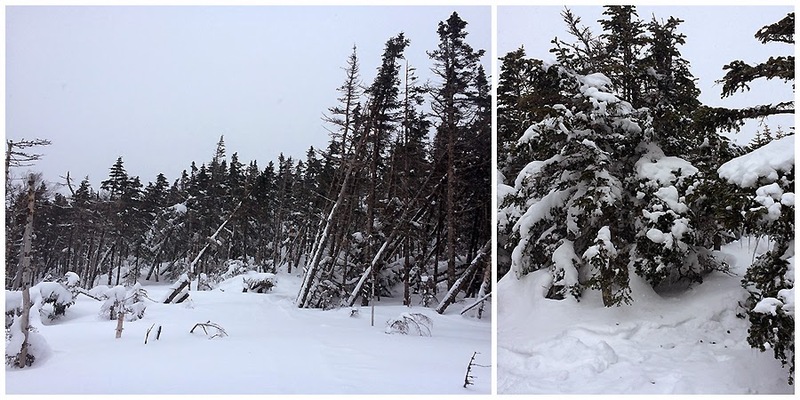 Another spot is where the trail attacks the final climb up to the summit, the trail sneaks around an insignificant bend on the left where trees tend to hang over the trail and there's always a knee height blowdown making things a little trickier. 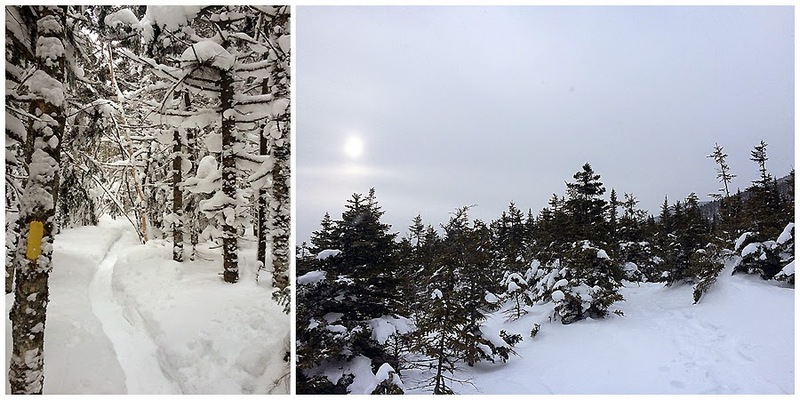 - The summit of Mount Willey is just a small cairn on the side of the trail and with all the snow it's buried. There's a great outlook about fifty feet down the trail but I skipped it since there were still no views. From here I backtracked to Mount Field where I finally ran into another hiker motoring his way up about a quarter mile from the summit. After passing by him I ran into ultra runner friends Ryan and his wife Kristina (Ryan holds the winter 48 speed record along with other FKT's, Kristina holds numerous records including a Presi Traverse, Great Range Traverse, etc.,) Ryan and Kristina were out for a Willey Range with a Willard chaser run with their friend Nathan. - Once I reached the top of Mount Field I turned it up a notch and jogged and hiked fast through the well packed out and easy descent to the Mount Tom Spur. At the spur junction I refueled before making the quick out and back to the summit of Mount Tom which had no views either but does have a nice selection of Christmas trees! - From the summit of Mount Tom I hiked, jogged, and ran down the A-Z and Avalon Trails back to the car passing by a handful of other hikers. 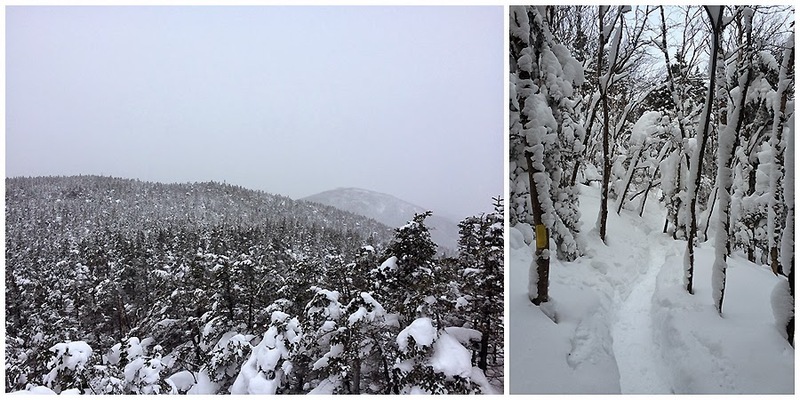 I timed the hike perfectly as the wind was starting to pick up speed as I made my way across the Highland Center field just before 11 a.m.
- Not a bad way to spend a morning before a blizzard type storm! 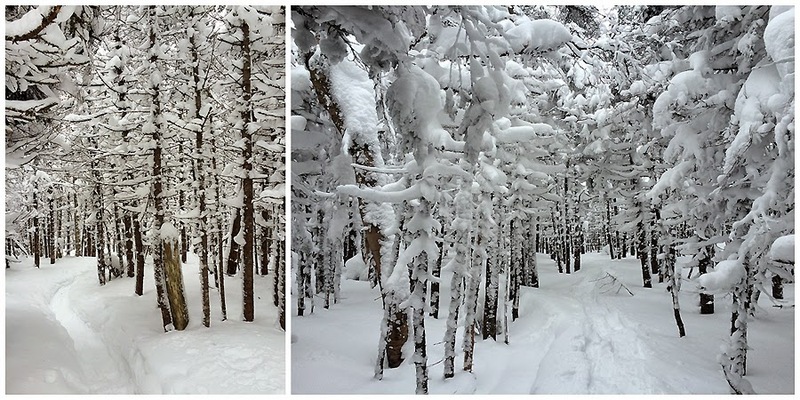 After a mile I stayed to the left and continued on the Avalon Trail up a steep snow filled trail. Nice job getting out before the storm! Trails are looking great up there, can't wait to get up sometime this winter. Hi Chris, I think you met me "motoring" my way up Mt. Field. I had large, yellow Tubbs snowshoes. They served me well, but I decided to turn back on the other side of Field, since the winds were starting to kick up there. Nice pics and workout!